As we meet the Norsewoman Katla in the pages of THE VALIANT HEART there is no doubt that she schemes to ensnare Rurik’s heart and to one day preside at his side as his wife and the future Baronne of Valsemé. But his father yet lives. Katla bides her time, making herself indispensible in the running of the keep and overseeing food preparations for the castle folk. She is especially known for her cheese making skills and for skyr, a thick, creamy, yogurt-like dish that can be enjoyed as a dessert or served as a beverage. Mr. KK and I discovered skyr while living in Iceland. This highly nutritious staple of the Icelanders’ diet was brought with the settlers from Norway in the ninth century and continues to be made today. Naturally, while penning my tenth century novel, featuring Norsemen as they founded the duchy of Normandy, I happily included the dish in my story. Skyr (pronounced skeer), is technically a cheese, made from skim milk and with rennet. (Without rennet the end product would be yogurt). The origin of the name skera — meaning “to cut” or “slice” — suggests the firmness of Viking Age skyr. Indeed, modern day skyr is far thicker than typical American or Greek style yogurts. 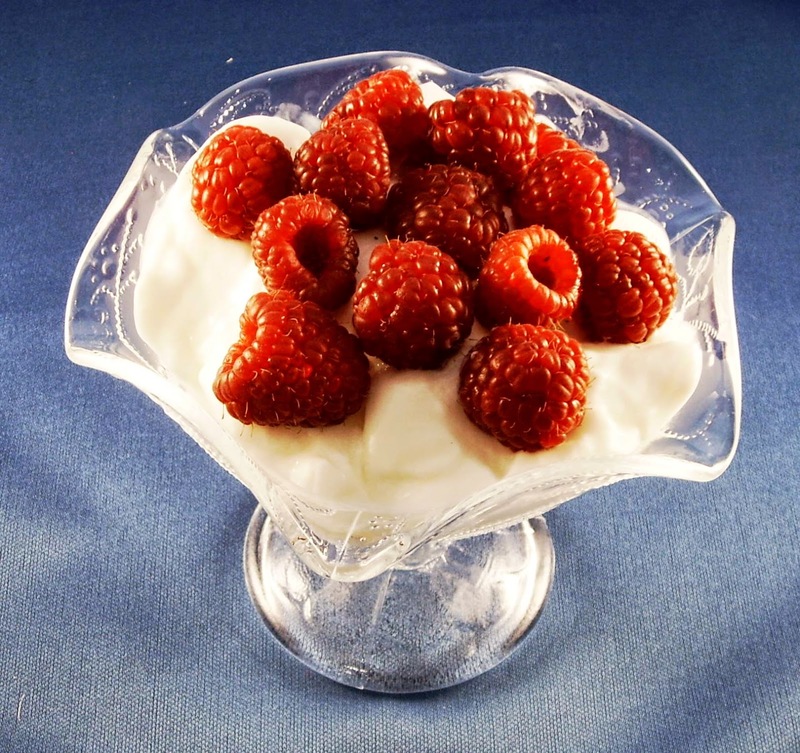 Traditionally, skyr would be thinned with milk and stirred to a creamy consistency, then sweetened with honey (sugar today) and served with seasonal berries for a satisfying dessert. Skyr can also be thinned further and made into a drink. Today it is sold in Iceland in a variety of flavors such as strawberry and pear which seems preferable. Plain skyr can be quite tart. Leastwise it is an acquired taste. The virtues of skyr are many. It is not only low-fat but contains three times the protein of ordinary yogurts (higher even than Greek yogurt), is loaded with probiotics, and is high in calcium. 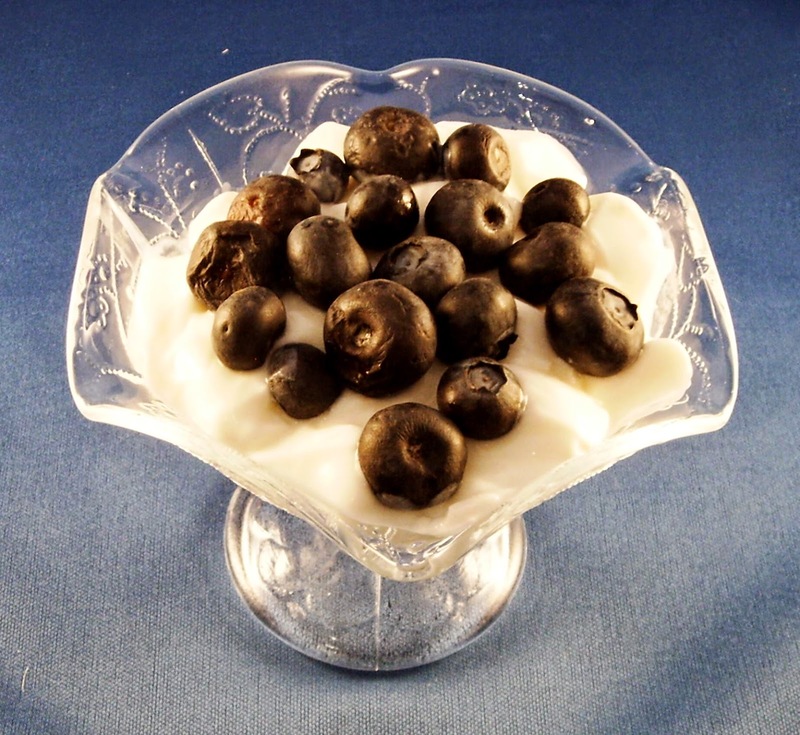 Skyr has long been recommended for pregnant women, is favored by athletes, and is a go-to food for dieters. It is also a healthy choice for growing children and teens and helps guard against osteoporosis. Skyr continues to be made in Iceland today, but availability outside the country is limited. It can be found in Britain and Scandinavia. In America, look for “Siggi’s Icelandic Style Skyr” at premium grocery stores, including Whole Foods. Siggi’s Home Page has a link named “stores” on the upper right that will determine where you’re located and show the stores in your area that carry it. If you are dauntless in the kitchen and would like to try your hand at making skyr from scratch, check out the links below for recipes and instructions. They also have some additional historical notes on this fascinating and amazing dish.